This one-shot issue introduces a team of villains that will cause big problems for Black Canary and Oracle! Cheshire assembles a crew of mercenaries to steal a weapon...but they may be scarier than the weapon itself! 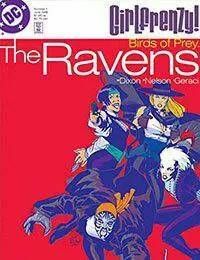 Termina, Vicious and Pistolera--together, they are the Ravens!